You don’t have to look very hard in the world to see how Geek Culture has gone from being a fringe subculture to a full-blown phenomenon, especially with all of the Custom Geek Wedding Rings available now. By all observations, there are more people attending comic book conventions dressed up in cosplay than ever. And just as with every other subculture, many different services and merchants have begun tailoring their products to meet the needs of the gamer and geek demographics. At Valeria Fine Jewelry, we are keenly aware of the latest trends as we make what people want, but can’t find at a retail store. We saw the Custom Geek Wedding Rings wave coming early. Because of this, we created a suite of jewelry based on the geek culture. What is interesting is how fine jewelers who would have thumbed their noses at a Batman or Star Wars Ring are now making Custom Geek Wedding Rings. At the request of customers, an increasing number of high-end jewelry designers are taking the symbols and emblems from film and games and turning them into beautiful and sometimes quite ornate jewelry. From Batman to WOW to Harry Potter, fashion statement jewelry and Custom Geek Wedding Rings would have never been the same with the advent of CAD. Here, we have combined two superhero logos into one. This way, you don’t have to pick your favorite! 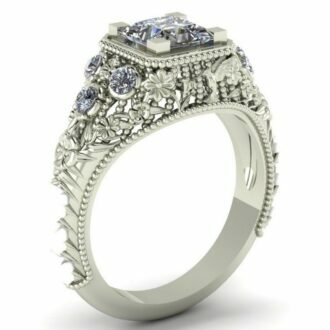 This is one of our HORDE World of Warcraft Engagement Rings. We have 2. This one has a round center stone with the lion underneath, but we have it with a heart shape center stone and nothing beneath it. Here is our Man of Steel Superman Wedding Band. It is simple. We just took the S, filled it with enamel, and channel set some diamonds. We can also make it with out the stones. Our Harry Potter inspired Owl Engagement Ring is one of your favorite custom rings we have created. Supporting the halo and center stone are two owls. We can hand engrave the owls to give them a high level of detail and we can also add stones to the eyes of the owls. This is one of your Star Wars Lightsaber Wedding Rings. We can take almost any lightsaber hilt you want and turn it into a wedding or engagement ring. As you can see, it is possible to be inventive and creative with the use of emblems from their customer’s favorite games and movies. The aesthetics of classical jewelry design seem to combine well with the adapted fantasy themes and graphic art seen in of gamer culture. This is our Star Wars Galactic Empire Wedding Ring. We have the logos going all the way around the ring, creating “pools” for the black enamel to be used around the entire ring. Otherwise, it would leak out. This Batman engagement ring is not only elegant and stylish. The ring is also unique with its comic book-inspired pattern. And it was a fitting tribute to both the couple’s love of comics and her love of one of DC’s most iconic and most loved comic book villains. This was our first superhero engagement ring and we haven’t looked back since! This is our Superman Batman Wedding Ring. We took the “Battle for the Cowl Batman” logo and added the Superman “S” to it. It looks pretty cool doesn’t it! We also have it without the stones, which can be made smaller. But we think it look so much better with stones. But hey..it isn’t our ring. We are here to create Custom Geek Wedding Rings that YOU want. We didn’t forget about the ladies! 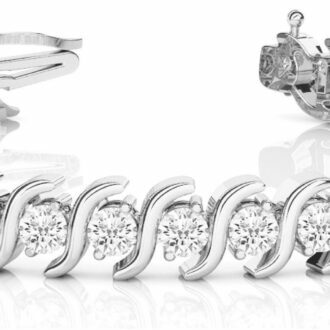 Most of our rings can be tapered for a woman. 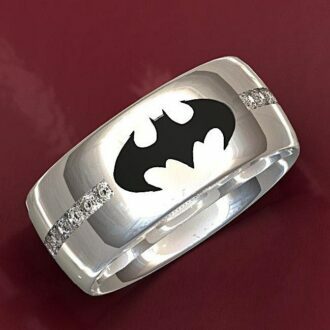 Here is our Women’s Batman Wedding Ring with Diamond accents. Custom Geek Wedding Rings – Give Us a Chance! The most interesting thing we’ve found about lovers of Custom Geek Wedding Rings is how generally receptive customers have proven to be to the use of CAD/CAM renderings in advertising and presenting designs. Perhaps this is related to gamer culture’s being accustomed to looking at computer graphics. Whatever it is, we are happy to create Custom Geek Wedding Rings just for you. Whether it be a batman wedding ring, World of Warcraft Wedding Ring, or Star Wars Wedding Ring. We are positive we can create something you will love forever. And usually a competitive price compared to the chain stores. We know you have tons of choices when looking for Custom Geek Wedding Rings. However, we are confident that if given the chance, our design skill, value, and service will put us a notch above all the rest. Google us. We are all over the internet for making customers happy. Click HERE to learn more about custom jewelry, view our portfolio, or to contact us about Custom Geek Wedding Rings. It can cost less than you think to have your very own custom wedding ring made just for you. Why settle for the lame and overpriced wedding bands from the chain stores when we can make Custom Geek Wedding Rings showing your style and personality?